Celebrate and promote another 130 years! 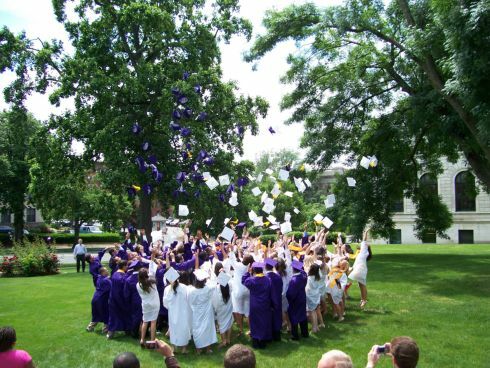 Two years ago, Cathedral High School sent one of its graduates off to Harvard University. That is quite an accomplishment since reports show that only 6 percent of applicants are accepted. Last year, the class valedictorian for Cathedral was accepted at Harvard. And this year one of Cathedral’s students has already been accepted to Tufts University. The school has initiated the International Baccalaureate Diploma Programme (IB) which is praised by college admissions offices. There are plays, service projects, and even an astronomy club! However, people don’t seem to be talking about those amazing accomplishments. There is so much good going on at that school. Young people are getting a quality, faith-filled education. They are in a caring community. Yes, they are not in their building on Surrey Road — YET! The Diocese of Springfield is fighting vigorously to get a just settlement so the school can be re-built properly. I am not a patient person but I realize that anything involving lawyers takes time. Sadly, as schools throughout the Diocese of Springfield celebrate Catholic Schools week I sense an undercurrent of dismay and in some places despair about Cathedral High School. I have heard comments. I have read letters in the newspaper. I have seen the pain on people’s faces. None of us can speed up the settlement talks. But we can talk up the school. The Diocese is working to re-build Cathedral and people need to be positive and promote this wonderful place. Right now the Cathedral community — and I count myself among that group — can do some things. We can encourage young people to attend this great school that gets its students into Harvard and other fine schools. We can make a donation to help a family send their kids to Cathedral. We can speak up and say positive things when we hear talk against Cathedral. This great school, which began in 1883, is still serving the area well. We can pray! It helps. And we can cheer on the number one boys’ hockey team in the state! Please spread this message and turn the tide of negativity and be a positive force for Cathedral. Log onto http://www.cathedralhigh.org for information about admissions, donations or any other way you can help. 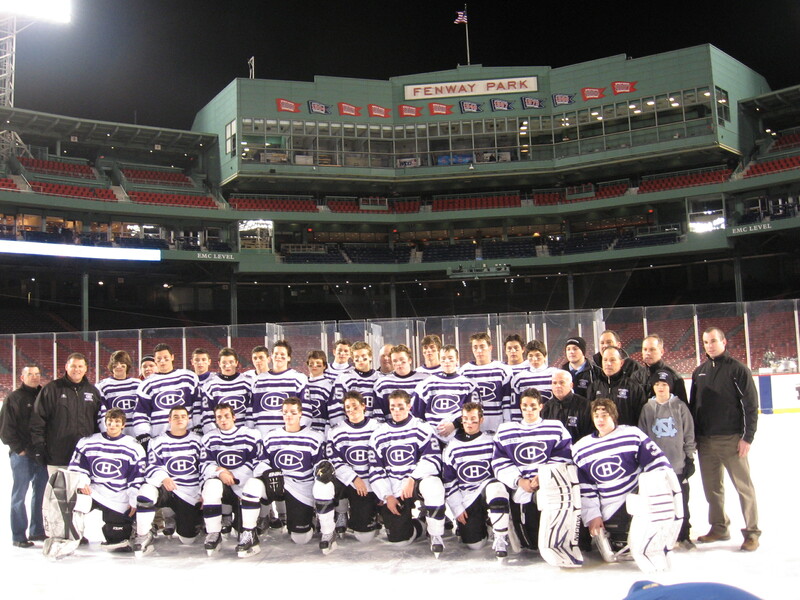 Last year’s team at Fenway!